The Sri Lankan government is in a dilemma due to some foreign governments refusing to collaborate in its efforts to verify information as regards those persons reported missing during the conflict. 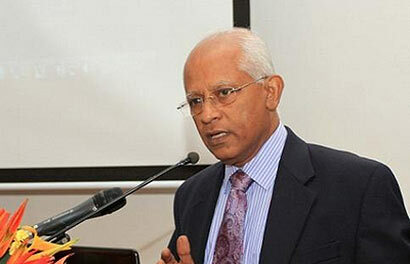 Presidential Secretary Lalith Weeratunga on Wednesday (February 12) admitted that the government hadn’t been successful in its endeavours though the same Western governments demanded to know the whereabouts of those disappeared. Addressing the media at the Central Bank HQ, Weeratunga said that having received information recently regarding the presence of several of those listedmissing living abroad, the government sought the assistance of some Colombo based embassies to verify the information. The official alleged that the embassies had declined to assist, thereby thwarting Sri Lanka’s efforts. The meeting was told how Australia had issued a new passport to Kumar Gunaratnam, leader of the breakaway JVP faction, the Frontline Socialist Party (FSP) bearing the name Noel Mudalige a few years ago, while Gunaratnam still remained listed as a missing person. The ruse came to light when Australian High Commissioner Robyn Mudie produced Gunaratnam’s new passport to facilitate his return to Australia after the FSP leader arrived at a Colombo police station after being reported missing for several days.Responding to a query regarding attacks on the media, human rights activists and places of religious worship since the conclusion of the conflict in May 2009, the Presidential Secretary said that United Nations Human Rights Commissioner Navi Pillay during a meeting with President Mahinda Rajapaksa last August alleged the destruction of 33 Mosques and 23 churches. When President Rajapaksa inquired whether Ms. Pillay could provide a list of attacked places of religious worships she couldn’t, the Presidential Secretary said. A smiling Weeratunga said that when he had inquired from UN Resident Coordinator and UNDP Resident Representative in Sri Lanka, Subinay Nandy several months later whether he could obtain the list containing attacked places of religious worship, he furnished some media reports of alleged attacks. The Presidential Secretary recently briefed the Geneva-based diplomatic community with regard to measures taken by the government to address accountability issues, including post-war attacks directed against places of religious worship. Weeratunga said that he explained attacks on ten places of religious worship and the status of police investigations and judicial proceedings. Alleging that a section of the international community had been relentlessly pursuing Sri Lanka, the Presidential Secretary urged Western powers to treat Sri Lanka like any other country and give the government adequate time to address accountability issues. Of course, most European Governments are blind. They are driven by local politics where tamil diaspora can contibute to constituency vote banks. This bearded terrorist idiot is a dreamer. He is living in the clouds with the Sun God. No person in the diaspora will return to NP/EP under this racist bearded idiot terrorist. I totally agree with you. The bearded one is trying hard to resurect the sun god. We need people like Gota to look after us.